Okay, so I went with a totally different plan. 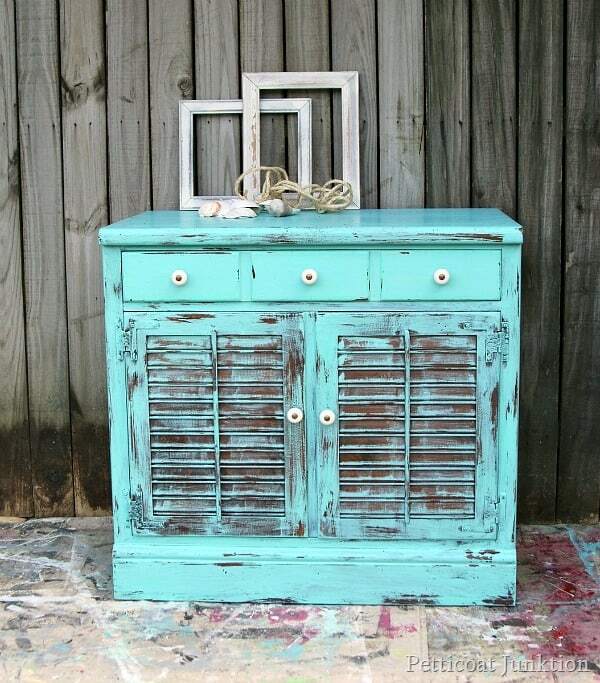 It’s not two-tone turquoise and celery green..
Take Me To The Beach Turquoise ….at least that’s what I’m calling it. 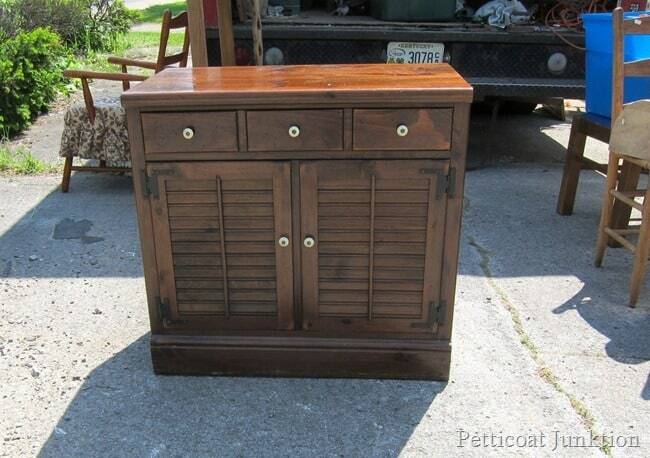 This is the before photo of the cabinet. My plan was to paint the piece all over in turquoise…..then put celery green paint over the turquoise on the doors and drawer front. 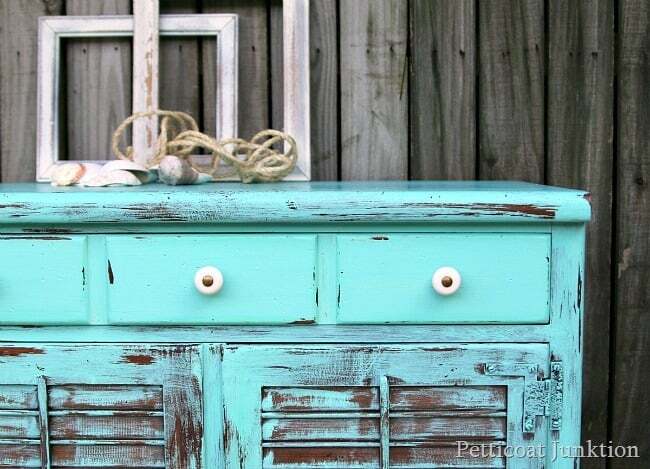 But after one coat of turquoise I was in love. 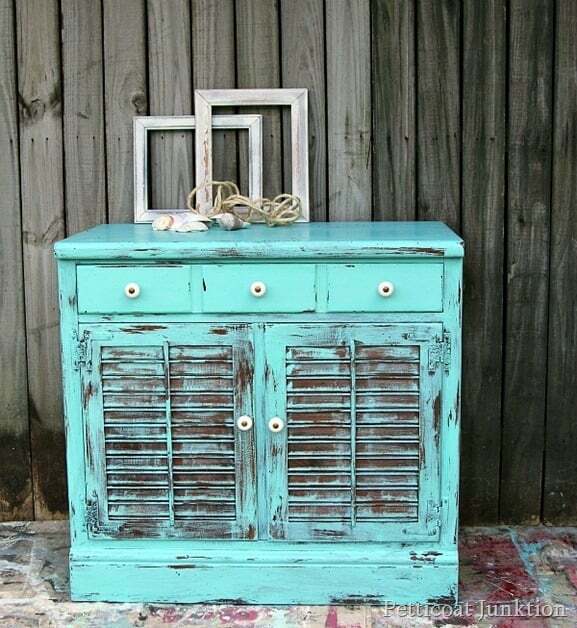 The louvered doors are hard to paint and as I ran my brush over them a time or two I thought how cool the paint looked. I did do another technique or two to get this look and I will share it with ya’ll next week. I know some (or all) of you will not like this makeover. That’s okay….my feelings want be hurt if you don’t like it. I’m off to my last day and last final of this college semester….yippee! « Do You Think This Color Combination Will Work? It looks great, nice job, you rocked it!!! I really like the blue without the green. It does look like the beach. Great job. No celery green? 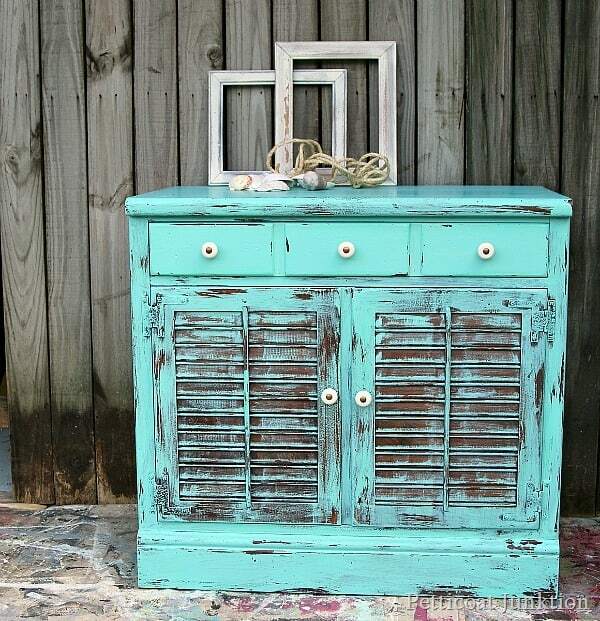 It does look very beachy and rustic without it. Funny how we got into our furniture makeovers with a plan and oftentimes come out with something different. I tell ya, these pieces speaks to us! Actually I do like it very much and was glad you did not paint it green and blue. Antique white would be nice too.